Rumors spread misinformation, fuel mistrust, cause panic and sometimes even prompt irrational behaviors. This is particularly true in the context of a health emergency when accurate information about a disease—how to prevent, detect, contain and treat it—can mean the difference between staying healthy or becoming infected and, in the worst case scenario, dying from it. When the Ebola epidemic began to rapidly spread in West Africa, some people thought that the bleach sprayed by health workers to sanitize the environment was the actual cause of the disease. Others believed Ebola was the result of black magic. Suspicion and fear grew fast across Liberia, Guinea and Sierra Leone, the three most affected countries, sometimes leading to horrible incidents like the murder of a group of health workers, local officials and journalists in Guinea in September 2014. Responders who were on the frontlines in the three hardest hit Ebola countries soon became aware that the epidemic was driven as much by misinformation as it was by weak health systems. To address the rumors and lack of accurate information, USAID’s Health Communication Capacity Collaborative (HC3) initiative was designed to bring in-depth expertise in social and behavior change communication to manage the epidemic. 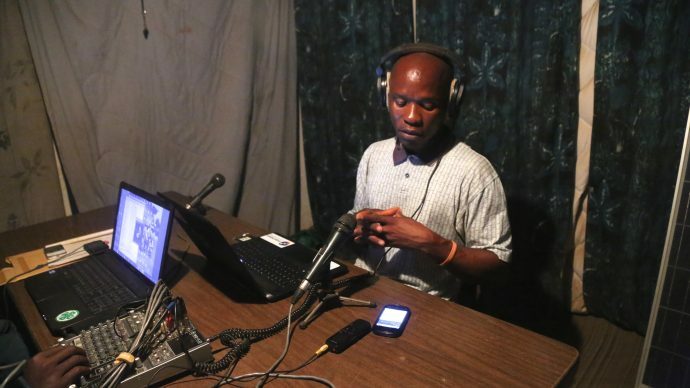 “Rumors often started far away from the capital and would grow out of control very quickly, generally through word of mouth, SMS and social media,” says Anahi Ayala Iacucci, former team leader for Internews in Liberia, an HC3 implementing partner. 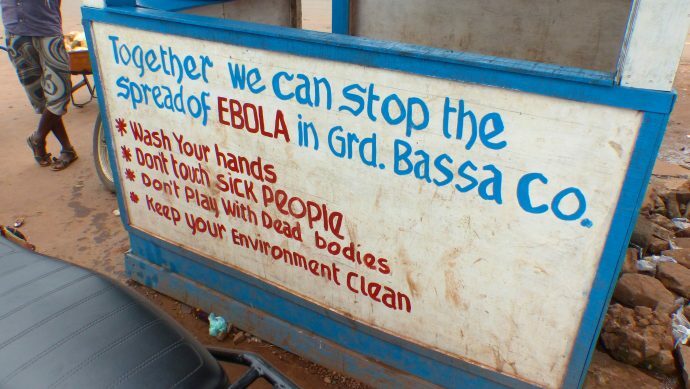 Infection prevention and control, isolation of patients, contact tracing, and safe burials were critical practices for stopping the spread of the Ebola virus in West Africa. Yet most of these required people to change their behaviors significantly when caring for sick family members. “This chaotic information landscape consisted mainly of information ‘going out,’ with little opportunity for community dialogue,” says Iacucci. Not surprisingly, local people struggled to understand why they needed to stop doing what they were used to doing and started to question information they were receiving. Information dissemination thus resulted in a plethora of poorly targeted and coordinated messages. The lack of dialogue fueled rumors and increased suspicion toward all first responders, including local and national governments. That is when the USAID-funded Information Saves Lives program in Liberia took off. Its goals were to investigate and respond to public rumors about Ebola, train and empower journalists to report accurately about health issues, and stimulate the exchange of information during the Ebola crisis. With technical support from UNICEF, HC3 developed the DeySay SMS system, which used text messages to monitor, track and report rumors about Ebola across different counties in Liberia. Another important aspect of this program was working with those who were already trusted sources of information like journalists, community leaders, and local health workers as a more effective way to foster dialogue and two-way conversations. Rumors mapped through the tracker were addressed through a variety of outreach channels, including local radio stations where audiences had a chance to call in and share their concerns. 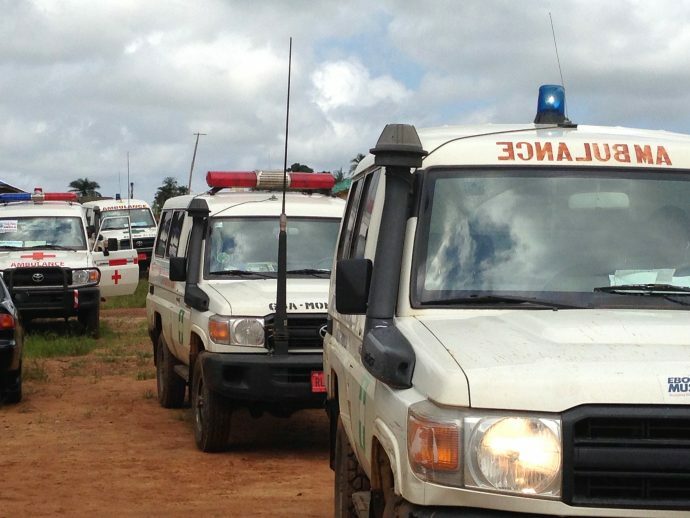 “Tracking rumors is pretty central to understanding public concern around these flare-ups and all health issues,” says Kate Thomas, an Information Saves Lives adviser with HC3 in Liberia. With the goal of building long-term capacity for quality health reporting, this activity also provided small grants, training and mentoring opportunities to the most committed journalists. While the first phase of the project focused on delivering accurate information by identifying information gaps, the second phase will focus on capacity strengthening, according to Helland. Although the DeySay Ebola rumor tracker is no longer in use, it has paved the way for innovative tools in a post-Ebola scenario. Community engagement and social mobilization have been included as core components of USAID’s response strategy to Zika in Latin America. Because if there is one thing the Ebola outbreak taught us, it is that two-way engagement with affected communities is essential for sustainable behavior change. And blasting messages out without engaging in an ongoing dialogue will invariably fail. Beatrice M. Spadacini is a senior communications adviser in USAID’s Bureau for Global Health. To learn more about the rumor tracker in Liberia, watch this video. Read more about combating rumors about Ebola. Read about a rumor tracker for the current refugee crisis. See how social and behavior change communication can be used during a public health crisis.